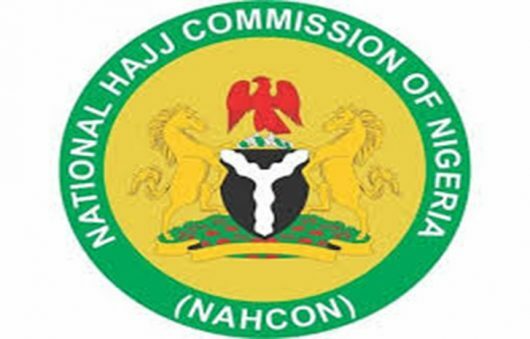 The National Hajj Commission of Nigeria (NAHCON) has debunked reports by a certain publication claiming that the Commission’s chairman, Barrister Abdullahi Mukhtar Muhammad had blamed low turnout of Nigerian pilgrims to early closure of the Kingdom’s Hajj portal. In a statement she signed yesterday, Usara said, “In fact, in so many instances, he justified the closure seeing that an extension for the deadline was obtained thrice. Instead, he blamed Nigerian pilgrims’ attitude of treating Hajj registration with a lackluster manner, waiting until the last minute to make efforts for registration. “Those present at the forum would testify that several times during the interview, the NAHCON’s head appreciated the Saudi government and its mission in Nigeria for their support on hajj and Umrah matters. The Commission said that instead of blaming Saudi Arabia, Barrister Abdullahi Mukhtar Muhammad even praised the Saudi Arabia authorizes for being gracious enough to accommodate Nigerians’ self induced problem of late registration. He explained how Saudi Arabian authorities extended closure of Hajj registration portal , thrice, for Nigeria to allow more people to register. According to Usara, “Initially, the deadline was set for the Islamic month of Rajab which coincided with 31st of March. After the Commission solicited for an extension, the Saudi authorities cooperatively granted that to our intending pilgrims until end of Shawwal. Even when the number of registered pilgrims was not very encouraging, the Commission still went back pleading for another extension to last up to first week of Dhul Hajj to which Saudi government declined but notwithstanding, extended the grace period to 15th of Dhul Qa’ada which corresponded to 25th of July. “How could someone who made this disclosure to hail Saudi Arabia for its relentless understanding and tolerance turn around to insinuate any blame on them? After the Kingdom listened to and responded well to repeated requests for Hajj registration extension, how can they be responsible for some persons’ inability to meet up? On the contrary, those Nigerian pilgrims who came out for the registration late did themselves a disservice. “One recalls that even during NAHCON’s nationwide sensitization visits in preparation for this year’s season, the Chairman clearly warned against late registration stressing that, this time around, Saudi had set a deadline for its portal. He gave reasons for this being that the Kingdom would like to compile a comprehensive data of persons moving into the Holy land as a step towards maintaining its internal security as well as to plan for the reception of the expected guests. Indeed, during the said interview again, the Chairman reiterated this message and even termed it as rightly so. “Pressmen present during the session would also recall that Barrister Mukhtar Muhammed decried how Nigerians plan for Hajj and even juxtaposed it with how they plan for their vacations outside the country. He distinctly said when it comes to Hajj, they wait until the last minute. He further expressed hope that henceforth, Nigerians may learn to prepare for Hajj well ahead of time, seeing how it affected late comers this time.